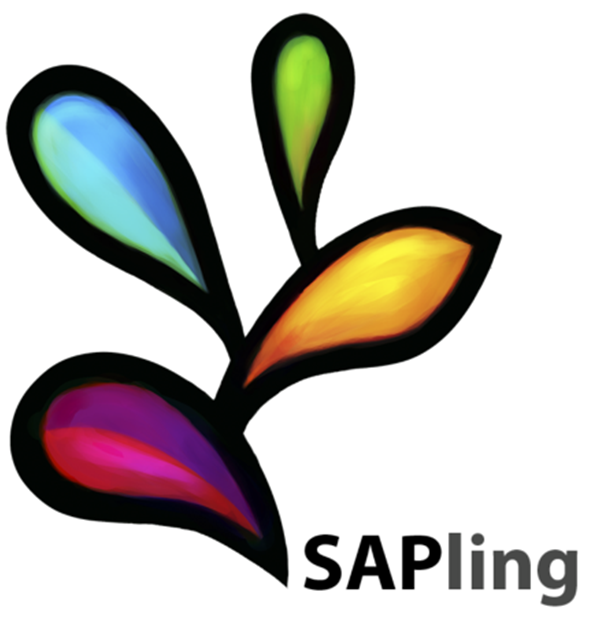 Starting from a uniform system, how do spatial patterns get established? 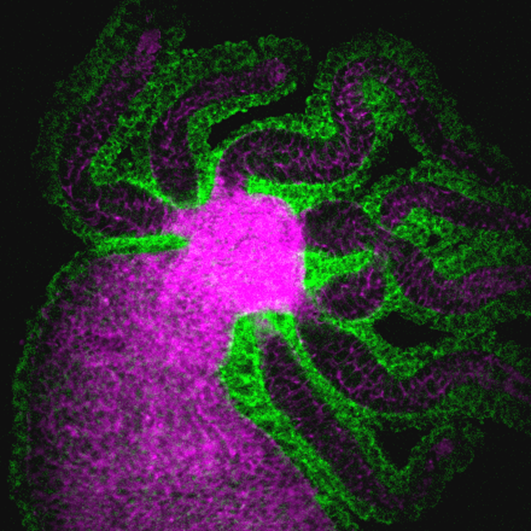 We aim to answer this fundamental question of developmental biology using Hydra regeneration from aggregates as a model system. Hydra, a simple metazoan, can regenerate into a new organism after complete dissociation into individual cells. Mechanical interactions between the cells and with the extracellular matrix are important for regeneration. Using transgenic Hydra lines and tools from physics and engineering, we aim at elucidating how mechanical signals influence cell fates and behaviors. This work is done in collaboration with the groups of Adam Engler at UCSD and Rob Steele at UC Irvine. We are constantly exposed to chemicals in our environment, some of which are neurotoxic to the adult or developing nervous system. Because toxicant screens in rodents are extremely expensive and low-throughput, we are developing an alternative custom high-throughput screening platform for in vivo neurotoxicology studies using the freshwater planarian Dugesia japonica. This platform has the advantage that we can screen adult and regenerating worms simultaneously, allowing us to identify compounds and concentrations that affect specifically the developing nervous system. We are currently specifically interested in the neurotoxic effects of chronic low-dose organophosphate pesticide exposure. We collaborate with the groups of Palmer Taylor at UCSD, Pamela Lein at UC Davis and Birgit Puschner at UC Davis on various aspects of this project. 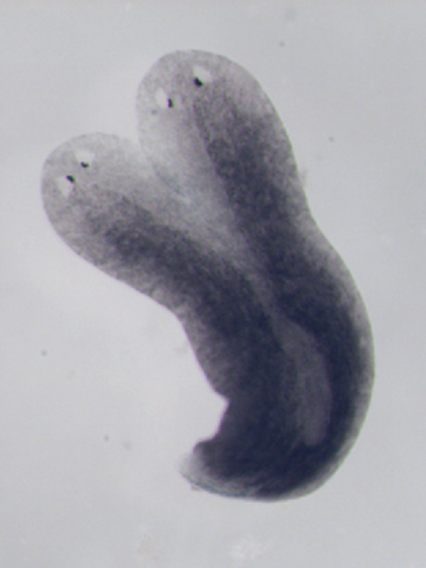 The presence of stem cells allows planarians to reproduce asexually by transverse fission. Interestingly, we found that different species employ completely different strategies for their reproductive behaviors, both on the organismal and the population levels. We are interested in understanding the biological and mechanical factors that control asexual reproduction and their contribution to population diversity and evolution. To be able to conduct quantitative studies, we have developed a unique large-scale experimental system which allows us to keep track and analyze the behaviors of thousands of worms over several years. We collaborate with the groups of Alex Groisman at UCSD, Joern Dunkel at MIT and David Schwab at Northwestern University on various aspects of this project. We combine tools from physics, material science, molecular biology and genetics together with extensive in vivo imaging and theoretical modeling. We work towards a coherent picture between the cell and tissue dynamics in the living organism and the underlying molecular machinery.